If you're ready to go, click here and enter “tbs50” to get 50% off a Premium membership to Travel Blog Success. Drive a red Ferrari in the French Riviera. Check. It's Black Friday in the USA today, and that means HUGE discounts are being offered to shoppers online and in retail stores. Starting now (4 AM Eastern Time), I'm offering Premium memberships to Travel Blog Success, my community to help travelers build better blogs, for half price. This is the biggest discount I've ever offered, and it's only available this weekend. Joining Travel Blog Success will save you time and energy because you'll be learning best practices from a community of travelers and bloggers who've already made the most common mistakes. At the risk of sounding redundant, blogging has changed my life for the better. I'm living my dream–life on my own terms. Five years ago this weekend I left the USA to embark on a 20-month trip around the world. It's because I began writing and sharing my experiences online that I'm now able to continue traveling and working for myself. I don't want to oversimplify things, but at it's core, that's what blogging is all about. 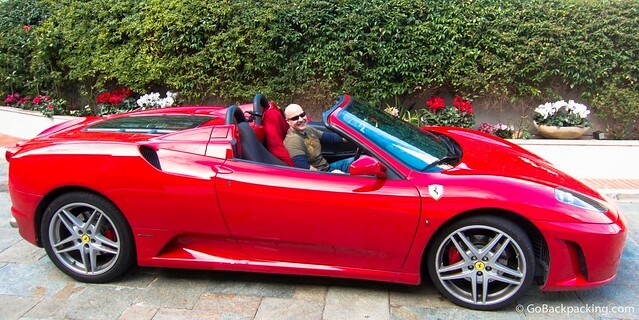 Earlier this week, I drove a $200,000 Ferrari around the hills outside Monaco in the French Riviera. Instead of paying for the experience, I partnered with a tour company to promote it through my blog and social media (stay tuned for a full write-up with photos and video from behind the wheel). These kinds of opportunities are becoming the norm, and if you have a passion for travel, and a willingness to put in the work, there's no reason you can't benefit from them too. Click here and enter coupon code “tbs50” to get your lifetime membership at this super low price. This offer ends Sunday, November 25 at 11 PM (EST).